You may not remember this, but the Nokia 6 started the brand's unlikely global revival more than two years ago in China. The first Nokia-branded smartphone marketed by Finnish startup HMD Global and manufactured by Taiwanese giant Foxconn quickly made its way to Europe for a second announcement at MWC 2017 alongside the lower-end Nokia 3 and 5, reaching the US in an official unlocked variant several months after. Interestingly, the 5.5-inch mid-ranger is still up for grabs stateside, occasionally fetching a lot less than its $230 list price. What's arguably more exciting about the original Nokia 6 is that an official Android 9.0 Pie rollout is now underway, according to HMD Chief Product Officer Juho Sarvikas on Twitter. Powered by an ancient Snapdragon 430 processor, the handset obviously ran Android Nougat out the box back in early 2017, switching to Oreo a little over a year ago. The Nokia 6 (2017) even received a second Oreo-flavored software update last spring, highlighting the brand's commitment to keeping its entire Android device lineup "pure, secure, and up to date" for as long as possible. Technically, this is not a member of Google's Android One program, but just like the Nokia 5.1 Plus, 6.1, 6.1 Plus, 7.1, and 7 Plus, it comes with a near-stock OS version, making HMD's optimization process a lot smoother than what other companies are doing. 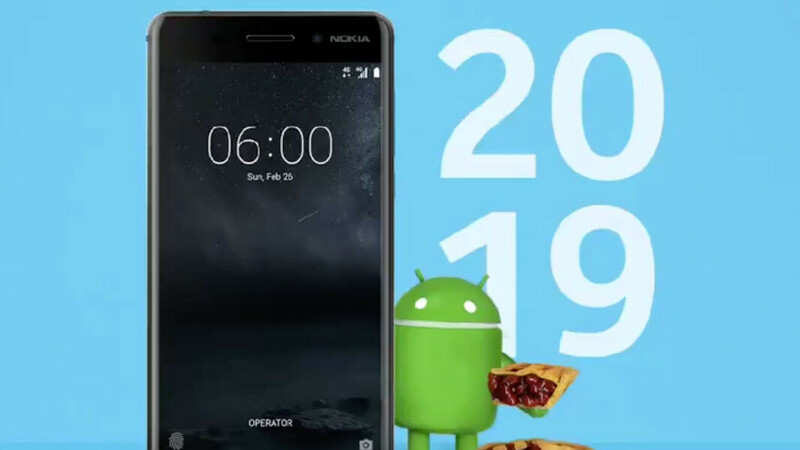 The Nokia 5.1, 3.1, and 2.1 are next in line for stable Android Pie delivery by the end of March, followed by the Nokia 3 and Nokia 1 in "early Q2." That's an incredibly ambitious schedule considering the inherent limitations of such low-end handsets, but the "new Nokia" has already proven time and time again that nothing is impossible when you actually care about this sort of stuff. Awesome job at updating your Nokia branded Android smartphones to the latest OS, HMD. Keep up the great work. You're doing updated better than more than 90% of the Android OEM's as far as updates are concerned. This isn't something that's too uncommon as the Nexus 4 and 5 saw multiple software upgrades well outside their life cycle but kudos to Nokia for keeping the 6 updated. It’s uncommon for smartphones outside of Googles brand of smartphones for most OEM’s to keep supporting their older hardware like HMD does.